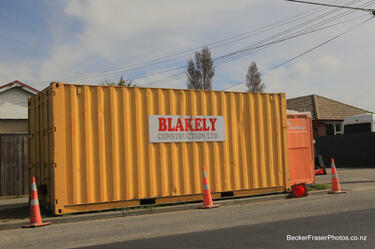 Photograph captioned by BeckerFraserPhotos, "Container in Breezes Road, Aranui". 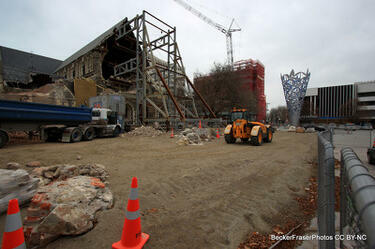 Photograph captioned by BeckerFraserPhotos, "Christ Church Cathedral". 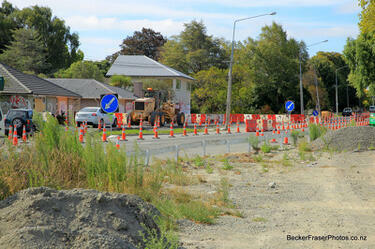 A tractor, road cones and barriers, and boarded up houses along New Brighton Road. 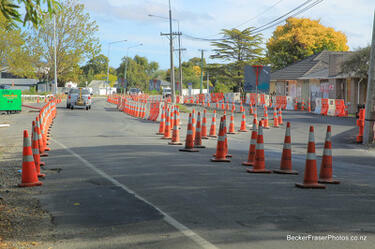 Road cones and barriers divert traffic along New Brighton Road. 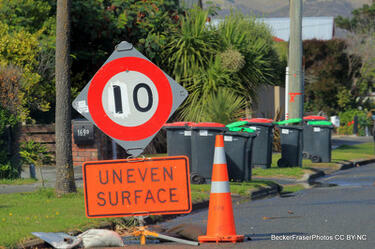 A temporary road sign indicates that the speed limit is 10 km/h along Rocking Horse Road in Southshore, due to the uneven surface of the road. 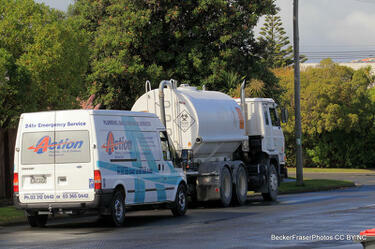 A truck pumping out sewers on Rocking Horse Road in Southshore. Road signs and cones are directing traffic around the vehicle. 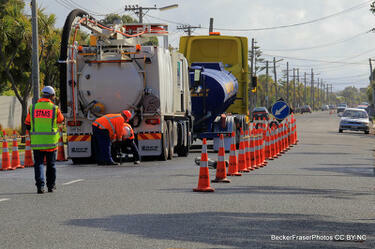 A sewage tanker on the side of Rocking Horse Road in Southshore. 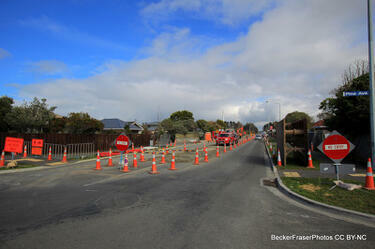 Photograph captioned by BeckerFraserPhotos, "Laying new sewers in Bridge Street, New Brighton". 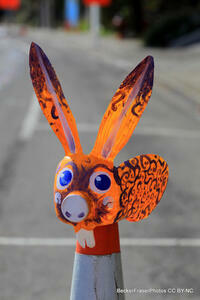 Easter artwork on top of a road cone on Main Road in Clifton. A bunny has been cut out of a milk bottle and painted. 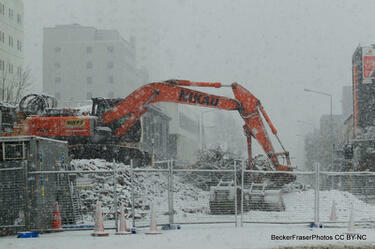 Photograph captioned by BeckerFraserPhotos, "Snow in the central city red zone". 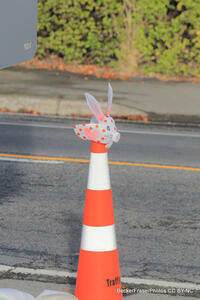 Easter artwork on top of a road cone in Ferrymead. A bunny has been cut out of a milk bottle and painted. 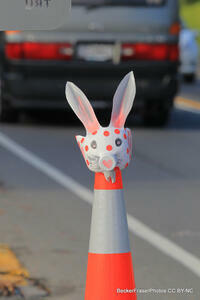 Easter art work on a road cone on Cannon Hill Crescent in Mt Pleasant. Cardboard has been cut out and cellotaped to the road cone to look like a bunny. 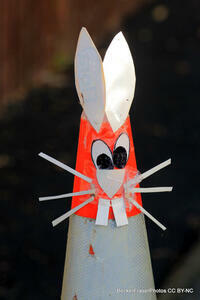 Easter art work on a road cone on Cannon Hill Crescent in Mt Pleasant. 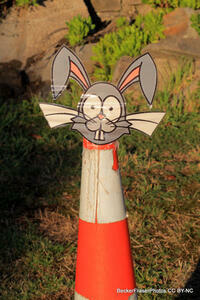 A bunny picture has been cut out and cellotaped to a road cone. 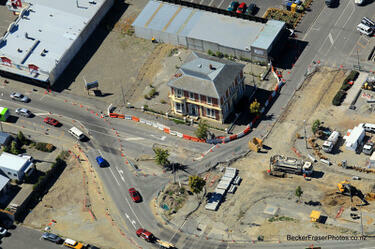 An aerial photograph of the historic BNZ building on Williams Street in Kaiapoi. 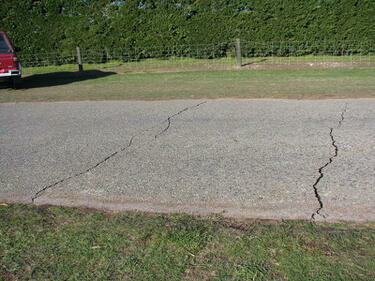 A photograph of cracks across a road in Canterbury caused by the 4 September 2010 earthquake. 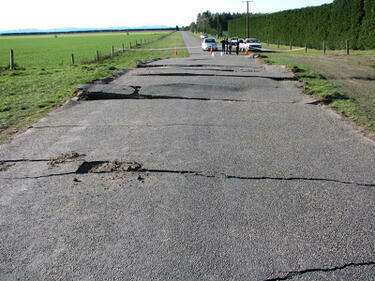 A photograph of a section of road lying on the Greendale Fault line which has cracked due to the 4 September 2010 earthquake. In the distance, police tape and cones have been used to close off the road. 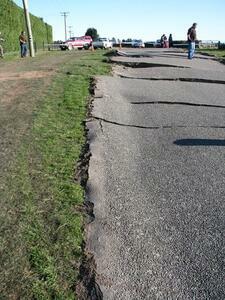 A photograph of people examining a section of road lying on the Greendale Fault line which has large cracks caused by the 4 September 2010 earthquake. Police tape and cones have been used to close off the road. 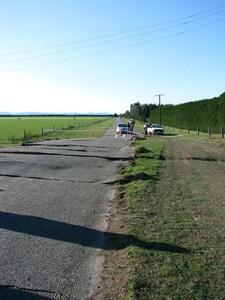 A photograph of a section of road lying on the Greendale Fault line which has shifted considerably and cracked due to the 4 September 2010 earthquake. In the distance, police tape and cones have been used to close off the road.